Genesis isn't even done wowing us, with a G70 N likely on the way. The entry-level luxury sedan from Genesis is finally here, and we couldn't wait to talk about it. It will take a while before the G70 arrives on US shores and we can finally get a test drive, but we won't let that stop us from giving our initial thoughts on the car. The G70 is based on a shortened version of the Kia Stinger's RWD platform. This should make it very dynamic to drive, given the praise that the Stinger has received for its wonderful road manners. The RWD G70 would be our preferred option over the AWD model, but the AWD is an enthusiast-minded system. Some AWD systems split power 50-50 or 60-40, but the G70 sends all of its power to the rear wheels by default, then adds power to the front wheels as needed. This is exactly what an enthusiast sedan needs. Unlike similar models from Audi, the Genesis should tend not to oversteer at the limit thanks to the rear-biased AWD system. Hyundai and Kia have been hard at work refining their steering feel, and based on the high praise that the Kia Stinger received, we have high hopes for the G70. Genesis could make enthusiasts even happier by including a one-year-only manual transmission. The manual would only be available on the base 2.0-liter engine, but we won't complain. The G70 is shaping up to be a worthy rival to other cars in the segment. We think that the Genesis already looks more appealing than Japanese competitors like the Infiniti Q50 and Lexus IS. The the G70's real worry should be the German rivals, mainly the BMW 3 Series. The Mercedes C-Class has gone up market in recent years and the A4 has always done things a little differently. When it comes to design, the F30 3 Series is a nice looking sedan, but we think that the G70 looks a lot more aggressive. It almost reminds us of the Bangle designed BMW models. At the rear, we see a bit of BMW 1 Series mixed with Suzuki Kizashi (a car that we always liked the look of). The front looks a bit like a Maserati Ghibli to us, but we really love the new black mesh Genesis corporate grill that is also available on the G80. The interior reminds us of previous generation Audi models mixed in with the classic elegance of a Mercedes. 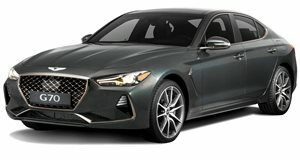 The G70 should have luxury features to help it compete with other cars in the segment at what will likely be a lower price. 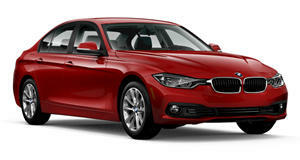 The BMW 330i starts at $38,750, so this is the target price that we'd like to see the G70 fall under. The G70 could also be an interesting alternative to our segment favorite, the Alfa Romeo Giulia. The base Giulia already undercuts the 3 Series with a $37,995 base price. The Alfa Romeo also has a 32 hp advantage over the BMW. The G70 will have four more hp than the 330i and the 3.3-liter V6 version will have 45 hp more than the 340i. The Giulia is our favorite driving car in the segment, but is not available with a larger V6 engine aside from the high-performance Quadrifoglio version. We think that the G70 does have what it takes to dethrone the Giulia as our favorite car in this segment, but we'll have to wait to see how it drives. The Giulia will be hard to match when it comes to steering feel, smooth power delivery and overall fun. 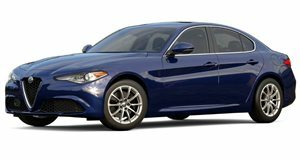 The Giulia has been criticized for reliability issues, and the G70 should easily be able to beat the Giulia in this category thanks to Hyundai-Kia's 10-year, 100,000-mile warranty. We think that the G70 is everything that we were hoping for from an entry-level Genesis sport sedan. We'd love to see a two-door coupe and a high performance N version in the next year or so. This would really give Genesis the ammunition to take on the German competition. It's never gonna happen, but we'd love to see this come stateside. Handing the keys back was nothing short of heartbreaking. The first car developed since the launch of the Genesis brand shows us what Hyundai's luxury arm can do. The competition should be worried. Again.